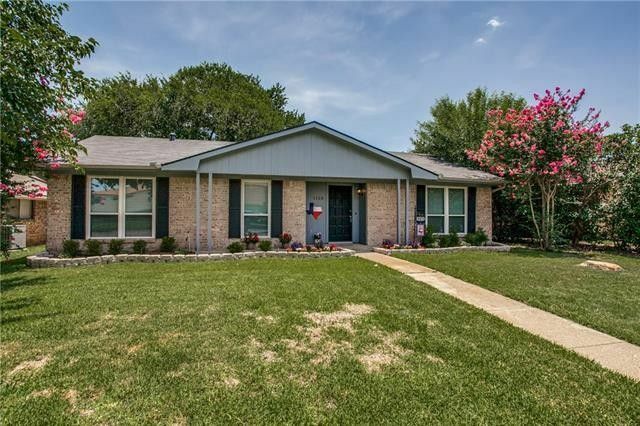 Adorable home in North Garland has been well cared for and recently updated with fresh paint, landscaping, roof, windows, blinds, flooring plus totally updated kitchen including countertops, stainless steel appliances, two-tone painted cabinets, custom subway tile backsplash and stainless steel refrigerator is included. Great floor plan with two large areas, both with wood-look laminate floors. Backyard with large patio and mature trees! Both baths have been redone nicely. This home has good storage and a fantastic location! Directions: Easy access of 190 and Brand or from Beltline.